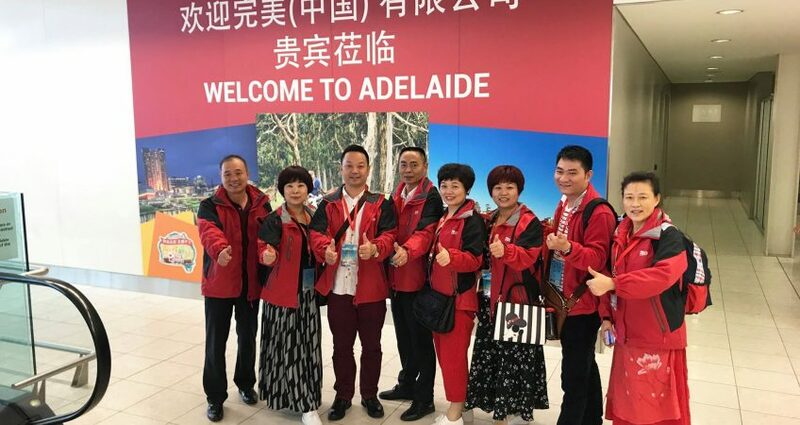 In June this year, Grants Coachline had the privilege of being selected to be one of the main mini bus hire services, for 3000 consultants who came to Adelaide as part of an incentive program devised by a major Chinese retailer. A GROUP of 3000 Chinese sales representatives will visit Adelaide in June, injecting $11.2 million into the state’s economy. The Adelaide Convention Bureau said it will be the largest incentive tourist group to visit SA. Announcement of the trip was made simultaneously in Adelaide and Guangzhou, in southern China. Incentive tourism is defined as travel with business associates on a group tour, as part of a work-related reward or bonus provided by an employer or other corporate sponsor. Perfect (China) Co — which sells herbal health products, kitchenware and personal care products — will bring delegates to Adelaide between June 17 and 20, and June 24 and 27. Adelaide Convention Bureau (ACB) chief executive Damien Kitto said the decision by Perfect (China) to visit SA demonstrates the state’s appeal. “To win the opportunity to host this group, we had to demonstrate that Adelaide has a world class offering, with the capability to host a program that will inspire the delegates,” he said. “With Adelaide’s rich diversity of venues, premium produce, pristine natural wonders, all under a perfect climate. He said the tour will add $11.2 million to the state’s visitor economy and create and support 110 jobs in the tourism sector. Perfect (China) president Swee Lian Woo said it is very impressed by the attentiveness of the ACB, Tourism Australia and the SATC. “Designed to recognise the extraordinary performance of our delegates, I am confident that the incentive program in Adelaide will offer a great opportunity for them to learn and communicate,” he said. Premier Jay Weatherill said the state government has invested an additional $70 million to promote SA nationally and internationally. “The additional funding for our Major Events and Conferences Bid Funds has seen our visitor economy grow to a record $6.2 billion — which is up a staggering $800 million on the previous year,” he said. Australian Hotels Association SA chief executive Ian Horne said June is historically a very quiet month in SA. “We know through Mad March, February March, that our occupancy with our major hotels is near capacity,” he said. “The middle of winter for our hotels is a quieter time. The Perfect (China) company has previously visited Australia twice on incentive group tours, but this is its first trip to Adelaide. For more information about our wide range of services, tours and mini bus hire visit our Services page.